Colors or camo? Light tans, browns, greens or black are all good. Camo is not required but if it makes you feel better, wear it. Despite what the predator hunting industry will tell you, you do NOT need to be dressed in full camo. The MOST important camoflauge is knowing where to sit, how to move & when to move. Try not to wear or bring shiny objects to the stand/set-up. Dual, faded & matte gun finishes are what works best. Facemask? If you want, but it’s not required & typically we won’t wear them. HATS ARE A MUST! Shading your face & your view is a BIG deal! It can be below zero or 70 degrees during the hunting season. Typical weather is 20-40 degrees in the morning and 50-65 degrees in the afternoon. Dress in layers! First, shoot your guns! Dead zero at 100 yards is preferred with rifles, but the most important factor is confidence in your rifle. Most of the animals will be shot under a 100 yards. Rifle Calibers .222-.243 are preferred. ARs are very common and we have no clip limits. Shotguns 12 GA or larger shooting 3inch #4 buck shot or Tungsten shot. Bring lots of ammo, just in case we have a good day. Some days you might only shoot 1 or 2 times, but other days you could shoot 8+ times in a day. Discuss with guide if you want to keep your fur, mount your trophy, or donate to guide. 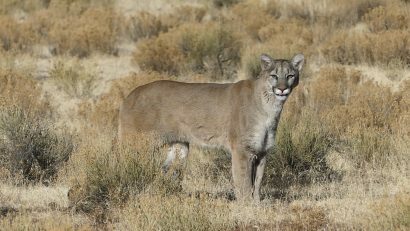 You must have a valid Arizona hunting license to hunt coyotes, gray fox & bobcats in Arizona. Arizona offers a non-resident 365 day license for $160, or you can purchase your license by the day ($20 per day). 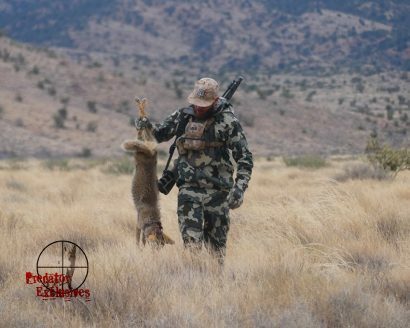 To export a Bobcat out of the state of Arizona hunters must purchase a bobcat export tag ($3 per tag) from the Arizona Game & Fish Department after the animal has been successfully taken.